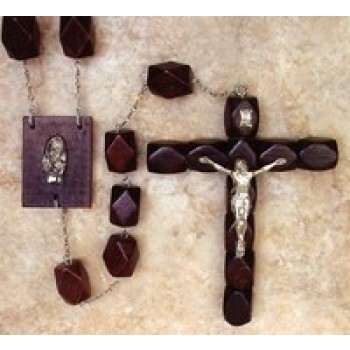 Add beauty and religion to any space with a rosary beads wall display from Matthew F. Sheehan. The wall size rosary beads are larger than handheld versions of rosaries and are available in a variety of styles and colors. 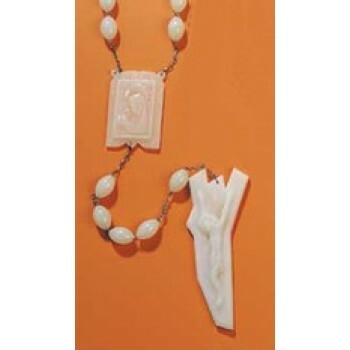 The large rosaries are part devotional tool and part decor. 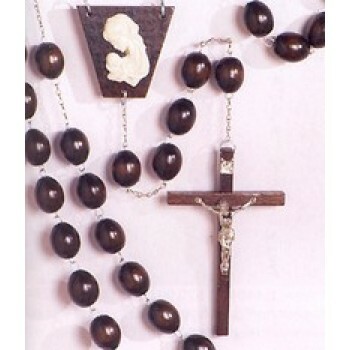 They contain all of the same components of a traditional rosary, but in a larger scale that's perfect for display purposes. 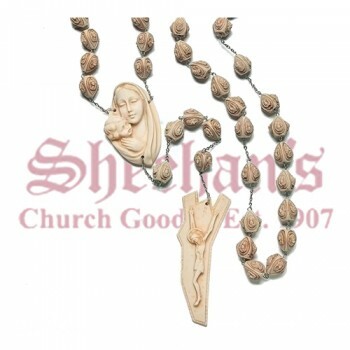 Matthew F. Sheehan carries a large selection of wall rosaries to choose from including wood look rosary beads, crystal rosary beads and imported wall rosary beads from Italy. Like traditional handheld designs, charming wall rosaries come in a variety of colors, materials and styles. The enlarged scale of the giant wall rosary allows it to include more detail, particularly on the center medal and crucifix or cross. While a wall rosary can act as a physical reminder of the number and order of prayers required to pray the Rosary, large rosary beads for wall display also act as statement pieces with display-quality detail and accuracy. 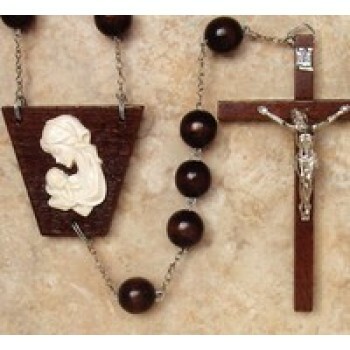 All of the wall rosaries sold by Matthew F. Sheehan are intended for use as a wall display. 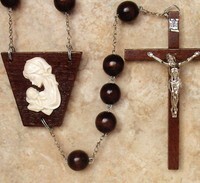 Wall rosaries vary in size and construction. While most are intended for interior use, luminous rosary beads to hang outside can add color and spirituality to a garden or patio. For more information about a specific design, please click on the image of the rosary that you are interested in. Matthew F. Sheehan hand selects every item for sale so you can be sure you're getting the best quality at the best possible price. Please call us at 1-617-971-9800 for questions about a specific item. 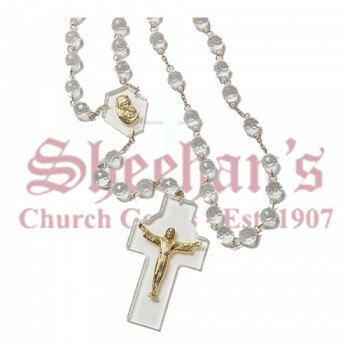 Shop Matthew F. Sheehan today for the best selection of large wall rosaries on the market. We have been in business since 1907 and are committed to offering customers the finest religious goods available. Our large wall rosaries are beautifully crafted by well-known manufacturers and are expertly finished for long-lasting beauty that will enhance the look and feel of any space for years to come. Choose your favorite design today and take advantage of our convenient shipping options to have your new wall rosary delivered right to your door.